Kevin Hunt obtained a J.D. in 1991 from the Syracuse University College of Law and a B.A. in Economics in 1988 from Washington & Lee University. Kevin has over twenty-five years of experience as a trial attorney. He has conducted hundreds of trial matters, with over sixty to verdict. Another part of his practice is spent representing health care providers and related professionals in matters involving the New York State Office of Professional Medical Conduct and Office of Professional Discipline. In 2014, Kevin was honored to be inducted as a Fellow in the American College of Trial Lawyers (ACTL). The ACTL is an invitation-only fellowship of exceptional trial attorneys of diverse backgrounds from the United States and Canada. The College selects only those who have demonstrated the very highest standards of trial advocacy, ethical conduct, integrity, professionalism and collegiality. Kevin has also been recognized as a Super Lawyer in the field of Professional Liability Defense every year since 2010. 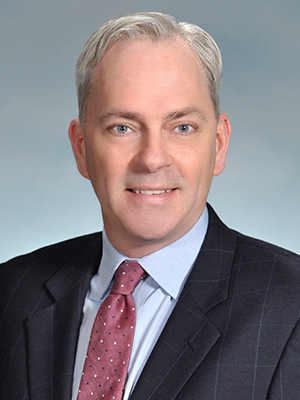 Kevin frequently lectures on issues related to medical malpractice defense at the Grand Rounds at Crouse Hospital, the LeMoyne College Physician’s Assistant and Nurse Practitioner Programs, the New York State Bar Association and the National Business Institute. He has also published articles on issues related to medical malpractice litigation including HIPAA, the Good Samaritan Law, tort reform and expert testimony. Kevin is admitted to practice in New York State, the United States District Court, Northern and Western Districts of New York, and the Western District of New York, Bankruptcy Court. He is a member of the Northern District of New York Federal Court Bar Association, the New York State Bar Association, the Onondaga County Bar Association and the New York State Academy of Trial Lawyers. Kevin has served on the boards of the Central New York Leukemia and Lymphoma Society, Syracuse Meals on Wheels and the Town of Onondaga Assessment Review. He resides in Syracuse with his wife Kathleen and three children.